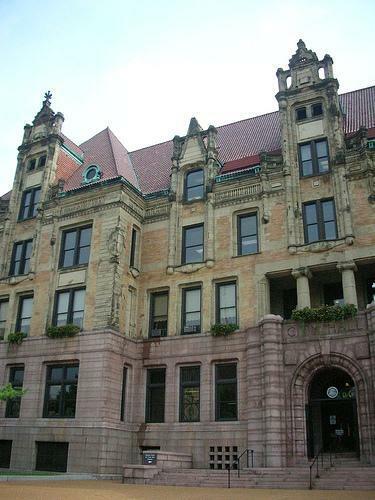 St. Louis aldermen asked residents for their input on the budget. This is what they heard. 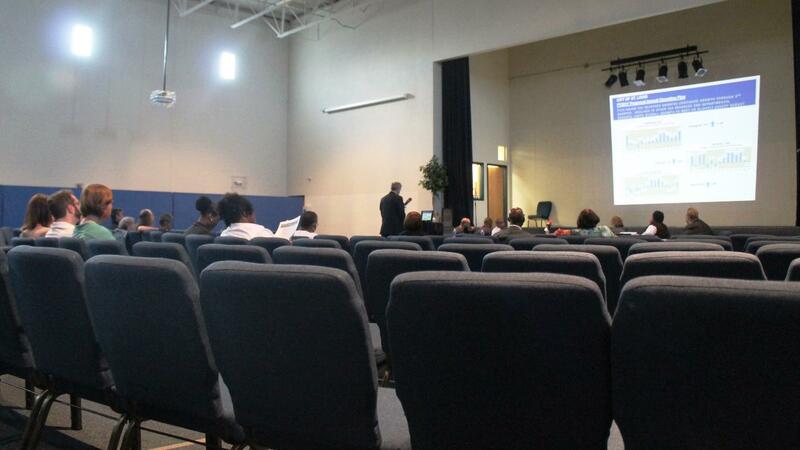 The Ways and Means committee for the St. Louis Board of Aldermen took their work on the 2017 budget on the road Wednesday night, to the New Northside Conference Center in the North Pointe neighborhood. It's one of the few chances the public has to weigh in during the process of crafting the $1.042 billion spending plan, which goes into effect July 1. More than half of the general fund — $287 million — will be spent on public safety. The vast majority of those dollars cover personnel costs for firefighters, prison guards, police officers and civilian staff. 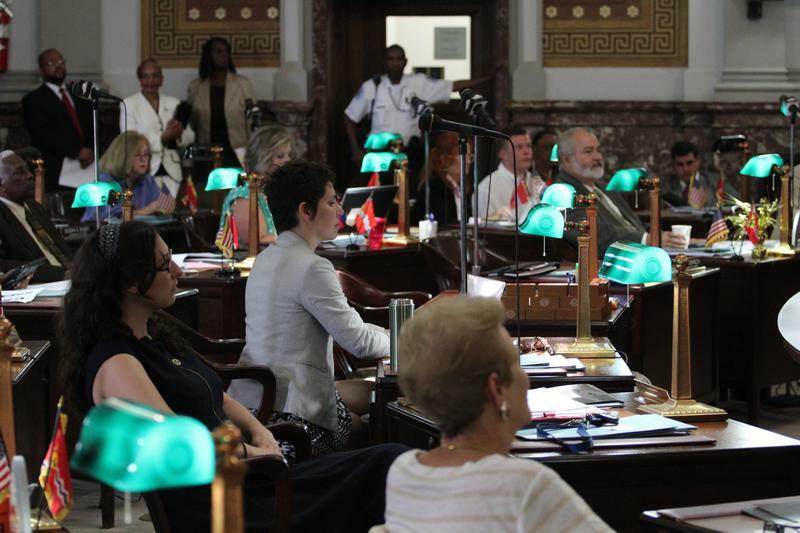 St. Louis residents and members of the Ways and Means Committee listen as budget director Paul Payne outlines the fiscal 2017 budget on May 18. But John Chasnoff, an activist with the Coalition Against Police Crimes and Repression, said the money is actually being directed to the wrong things. "To my way of thinking, and to CAPCAR’s way of thinking, we’re spending too much money on reacting to crime and not enough money on working to prevent it," he said. Kayla Reed, with the Organization for Black Struggle, said the city is failing to live up to the mission of the public safety department, which is "[to] safeguard the city's state of well-being, protect lives and property, and ensure the complete safety of the 319,294 people who live in the city, and the 1 million people who work, traverse, and visit the city of St. Louis daily." "'Complete safety' goes beyond policing," Reed said. "Complete safety is investing in youth opportunities, job training, education, nutrition and proper housing. And these things are very minimally funded in our city's budget." Judith Arnold, with the Enright Neighbors Association, again advocated for additional funding for the building division, which handles board-up and demolition of vacant buildings. She wanted more resources so the division could board up all floors of a building, not just the first floor windows. She also urged the aldermen to increase the number of times a year the city mows vacant lots — a complaint that's often echoed by Alderman Samuel Moore, D. 4th Ward. 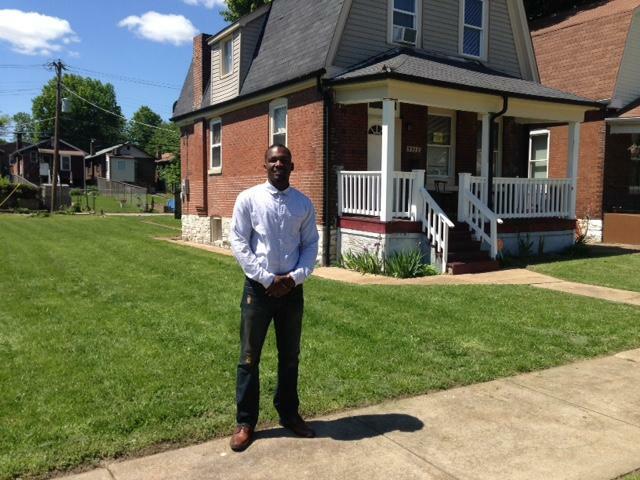 Kevin McKinney, the director of the St. Louis Association of Community Organizations, also pushed for additional dollars for board-up and grass cutting. "I know the website was revamped, but it seems to be a new skin on the website," said Gerry Connolly, referring to a recent redesign of the city's website. "It actually takes more clicks to get to the content of a bill; then it used to before. And if we're serious about transparency and open government, which I think you folks are, we need a 21st century-ready website, because it's just not cutting it." Connolly said he'd like to see handouts from committee meetings posted online, in as close to real-time as possible. "Let's have those resources available to people attending the meetings and those watching at home online," he said. Hearings on the budgets for individual departments are set for next week and the week after. The budget as a whole has to be approved by July 1. 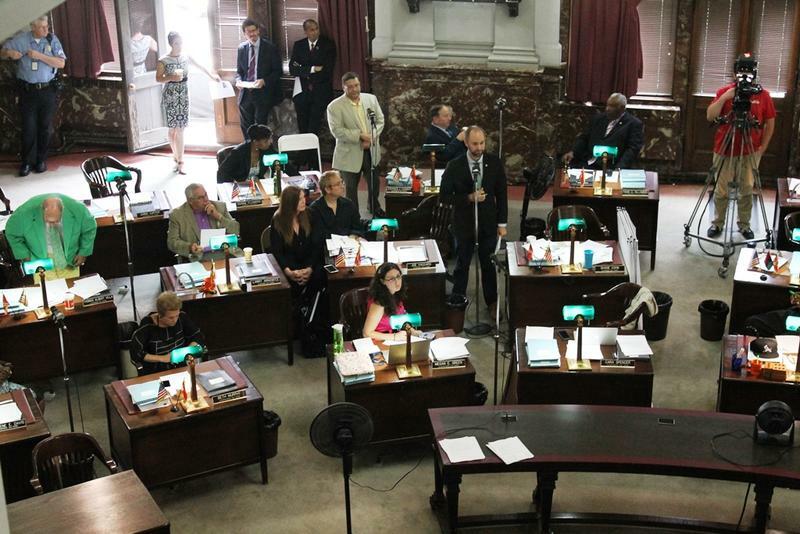 St. Louis aldermen began working Wednesday morning on the $1.04 billion spending plan for the fiscal year that begins July 1. The budget has very few major changes from last year. The city bridges the gap left by the departure of the Rams by shifting some special funds into the general fund, and spending less on things like ward capital projects and demolition. The parcel next to Eltorean Hawkins’ home looks like his side yard. He’s been mowing the grass and cutting the weeds since he bought his house two years ago, even though the land belongs to the city's Land Reutilization Authority. Now all Hawkins has to do is pay $125 and keep mowing for another two years, and the deed goes to him. It’s called Mow to Own. The departure of the Rams to Los Angeles may mean budget cuts for some St. Louis agencies. The city's top three elected officials on Tuesday approved a proposed spending plan for fiscal year 2017, which starts July 1. The $1.04 billion budget is about 2.5 percent bigger than last year, but revenue growth is projected at only 1 percent, driven mostly by hits to the sales and amusement taxes.